Without a goal, you might find yourself spinning the wheels on your own health. We, at the Seattle Athletic Club, are interested in not only hearing what your goals are, but seeing them in writing. Studies have shown that if you write down your goal or tell someone – you are more likely to achieve it. Write your goal on our SAC goal card and display it with the rest of the members (they will be displayed anonymously). Email fitness director Jacob Luckey with your goal and he will post them for you. Sit down and talk with any of our fitness staff about how to set your goal and discuss a plan of action to achieve them. Let’s see how many people we can get to finish their goals; no matter how big or small your goal may be, we want to help you have a great and healthy New Year. For more information on this complimentary event, please contact Fitness Director Jacob Luckey. New Year’s Resolution: Life Coaching Package! Please contact Kendra Kainz at kkainz@sacdt.com or sign up at the front desk to reserve a seat. Reservations are first come first serve. Most of us might be afraid to live to 100 years old because of the fear of a decreased quality of life or living with aches and pains. But if we could feel good and still do the things we love to do like playing with our grandchildren, then I’m sure most of us would want to stick around. What we don’t realize is that arthritis is not inevitable. It can be avoided if we make the right choices now. We have the ability to age well despite our genetics. Healthy lifestyle choices are key to not only live well now but in our later years too. This class will pin point the major culprits contributing to bad health and illuminate the tiny tweaks you can make now to make huge changes to your elder years. Bio of Dr. Grandfield: Dr. Grandfield offers gentle and unique Chiropractic care with a focus on correcting the cause rather than the symptom. Dr. Grandfield utilizes NUCCA, a specialized adjusting technique, to correct misalignments. This focused adjustment is very light and effective to restore normal body balance and function. No cracking, popping or twisting kind of adjustments. With precision and specificity, NUCCA adjustments last longer which results in fewer visits to correct the problem. Jennifer is one of those people that is an example how perseverance and determination can surmount any obstacle. As an athlete, runner with the SAC Run Club and regular participant in many of the club’s group exercise classes, Jennifer set a new goal for herself. She wanted to complete her first FULL marathon (26.2 miles) in October. Before she had opportunity to begin her new journey, she unfortunately experienced a physical setback; incurring a lower leg stress fracture which confined her to a boot for many weeks. This only made her more determined to succeed. She followed all protocols to facilitate her healing and continued to find ways to keep exercising within her limitations. She worked with our instructors to help rehabilitate her back to her level of strength and endurance while maintaining a focus and positive outlook that is testament to Jennifer’s personality. 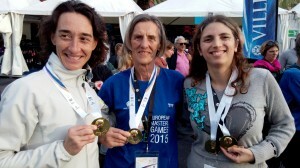 She continued to work hard towards her goal, transitioning back to running. She took one day at a time, with fierce perseverance, grace and a competitive spirit that got her back to training. And she came back with a vengeance! Once her training began, she became a stronger competitor, leader as well as a source of inspiration and encouragement for her teammates. She was consistent, precise, diligent and committed; qualities that enhanced her success. On October 11th 2015, Jennifer competed in the Goodlife Fitness Victoria, B. C. Marathon, her FIRST full marathon and did so with a phenomenal time! She not only qualified for the Boston Marathon, but placed 10th in her age division! We think she surpassed her goal!! Congratulations Jennifer! Your perseverance is truly inspirational. 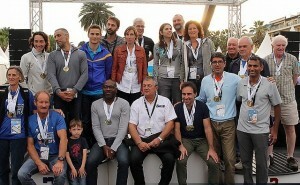 Two of our masters athletes – Mariza Ohlsson and Naveen Garg, travelled to Nice, France to participate in 2015 European Masters Games (Oct 1 – 11, 2015) that included 27 sports disciplines (http://emg-nice2015.fr/en/sports-disciplines/) spread over 40 venues with over 7200 athletes from 25 years to 96 years of age! Mariza participated in Squash and Table Tennis events where as Naveen focused on both Classic and Open Squash events. Mariza played 4 matches and won 2, including a hard fought 5 set win that earned her the Bronze in the combined Women’s Squash Classic draw along with Gold in her age category! Naveen played a total of 9 matches, winning all 5 in the classic division with Gold Medal and winning 3 of 4 in the professional division with eventual 5th place. His only loss of the tournament was a close 2-3 loss to the eventual silver medalist. Congratulations to both Mariza and Naveen for representing the Seattle Squash Community in France this year. Keep Your Piriformis in Good Form. The piriformis muscle lies deep to the gluteal muscles in the buttocks. It is an important lateral rotator, the position your leg is in while kicking a ball with your instep, and a essential stabilizer of the pelvis. Because of its importance in our mobilization and balance, it is not only used in vigorous exercise and sports, but also in activities such as getting up from a chair or walking. We are constantly putting demands on this muscle, yet because of the depth and location many are unaware they have a tight piriformis. If this muscle remains tight it can irritate surrounding structures, such as nerves, which may result in pain. This pain can show up as low back pain, buttock pain, or pain running down the back of the leg. Other symptoms may include numbness, tingling, or a decrease in sensation in those areas. Perpetuating factors include sitting for extended amounts of time and sitting with your legs crossed, quite common with the desk work and travel demands of todayʼs world. Climbing stairs, squatting, or running might exacerbate the discomfort our tight piriformis might be creating. This can be a frustrating cycle… we want to exercise because we sit all day… but when we sit all day, our tight piriformis might make certain exercises uncomfortable. Talking with your personal trainer, massage therapist, yoga instructor, or another member of your self-care team, can help you build a great plan to keep your piriformis in good form. Static stretching, foam rolling, hydrotherapy, trigger point therapy, and myofascial release, are all great treatments for a tight muscles. Donʼt let your piriformis cause you to lose form, chat with your team and learn what you can do to help it! Last week, our Wellness Director, Kendra Kainz, had a question of the day that related to Women’s health. Members were able to drop their guess into a box for prizes. Every question related specifically to women. Here are the questions for you to try to answer. The answers will be listed at the bottom of the page, but how many of them did you get right? Question #1: Often Called the “The Silent Disease”, it is estimated as many as 8 million women are diagnosed with this disease in the United States. Question #2: One in four women within the US die of this disease, making it the leading cause of death among women. That’s more than all cancers combined. The older a woman gets, the greater her risk. Question #4: This health threat is responsible for almost 8 percent of all female deaths and leading cause of long-term disability in the United States. Almost 55,000 more women have this each year, and about 60 percent that die from this are women. Question #5: This treatable endocrine disorder affects 20 million people in the US, mainly women. Left untreated, this disorder can cause several other health issues. Next month, we will be doing a similar activity during Men’s Health Week so stay tuned and keep your out for the table for your chance to win fun prizes. The Seattle Athletic Club just wrapped up another very successful 12 week weight loss competition for 2015. This year we had 24 participants looking to start healthy habits and begin their weight loss journey; 63% of the participants finish the challenge by attending all 12 weekly weigh-ins. Of those that completed the challenge 86% lost weight. Of those that lost weight 85% lost over 5 lbs. I wanted to take a moment to single out our top finishers for the competition and tell their weight loss transition through their numbers. 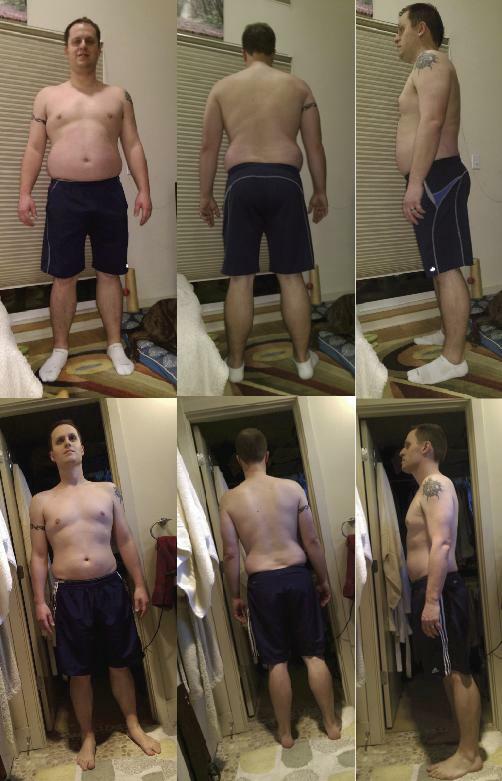 Seth lost 22.13% of his body weight, decreasing his body fat by 14.04%. He dropped inches from these main areas: Chest – 6”, Waist – 10” and Thigh – 1.2”. Denise lost 18.41% of her body weight, decreasing her body fat by 14.63%. She dropped inches from these main areas: Chest – 3”, Waist – 4.7”, Hip – 6.3” and Thigh – 5.1”. 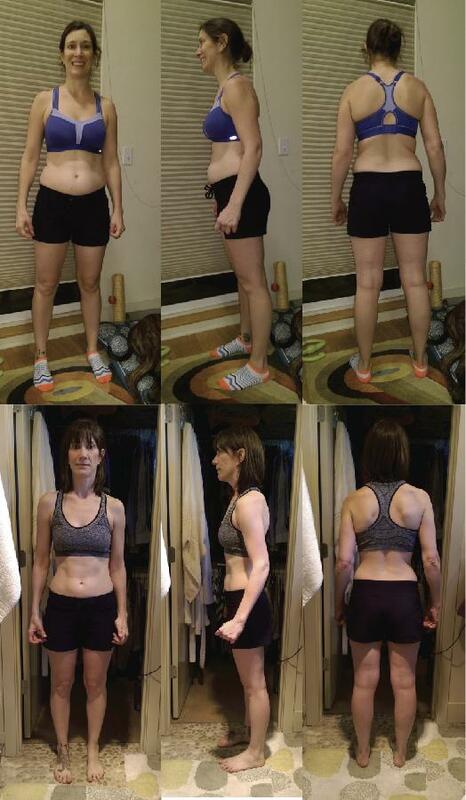 Rosie lost 16.74% of her body weight, decreasing her body fat by 5.57%. She dropped inches from these main areas: Chest – 3.5”, Waist – 4.1”, Hip – 3.4” and Thigh – 2”. We are proud of all the hard work and dedication from everyone that participated in our competition. Many of our participants had great things to say about their Lose It! experience and how it helped them change their lives. If you are looking to start a fitness program, please come see any of the fitness staff. Everyone at that Seattle Athletic Club is here to help and assist all members with any fitness endeavor. As you can see, you can be more successful using a structured program and network of people looking to help you out. 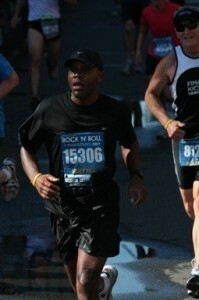 So, when it comes to your next fitness adventure, come talk to the professionals at the Seattle Athletic Club! For more information about healthy weight loss, please contact Fitness Director, Jacob Galloway. 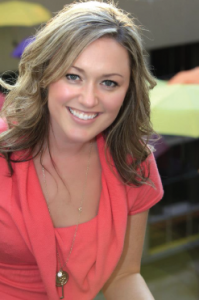 Inspirational Member of the Month – Denise Kilgore! Denise Kilgore has gone through a lot of changes in her life; if you saw her 5 months ago you may not actually recognize who she was. Starting before the New Year, Denise decided she needed to make a change, a change which came in the way of becoming a healthier person. She has always struggled with her weight, so much so that she couldn’t find many pictures to submit for this article because she hated being photographed. After hearing about the Club’s Evolve program, Denise decided she wanted to start the program right away. She started by working with Tom Sheriff three times a week, she did spin every day she could get into the club (which, yes it meant she came in before working out with Tom), she decided she would try a meal delivery option where you are delivered all the ingredients, a recipe and you cook your own fresh food. Even though Denise works long days sitting at a computer, she told herself that she can still make it into the gym every day and cook her own meals. She has stuck with those things and made it a habit. I can tell you that every day around 6 am Denise will be in the club spinning and around 9 am three times a week she is in here doing her weights. As the week progressed we all saw Denise shrink down as her strength shot through the roof. Half way through her journey she even was able to take off her braces and smile at all she was accomplishing. 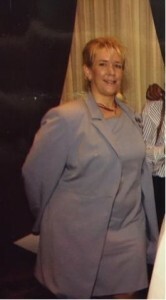 Denise has lost over 45 lbs and decreasing her body fat by over 15%. She has lost so much size that she has had to throw out all of her old jeans and shirts and is swimming in her workout clothes. Denise has dropped life changing inches from these main areas: Chest -3”, Waist –4.7”, Hip –6.3” and Thigh –5.1”. All together Denise lost almost two feet of circumference from her body, she has regained a body weight she hasn’t had since her twenties and has exponentially increased her strength and stamina. Denise finished second place in our Lose It! weight loss competition and should feel so proud. 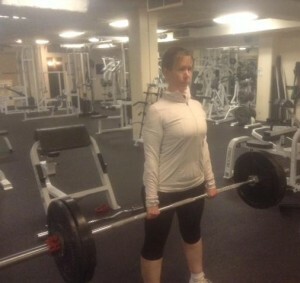 What I think is amazing about her is that before the competition was over she had already made up her mind that she would be continuing to train with Tom three times a week (she still has her goal of bench pressing a plate on each side of the barbell) because she sees the value in what she has earned and doesn’t want to slow down. 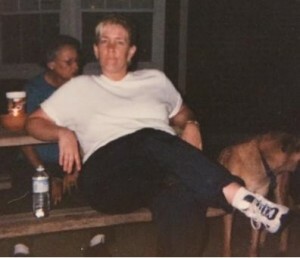 The second thing that is amazing about what Denise did is that she didn’t look for a special diet, or try the newest fad in exercise or weight loss; she made up her mind to eat fresh foods, committed herself to getting in her cardio and weights every week and continued on with her life. It has been a true pleasure to see her transformation unfold before my eyes; all of us at the SAC are excited to see just how far she pushes herself toward her goals. For more information on weight loss programs or to nominate a Member of the Month, contact SAC’s Fitness Director, at Jacob Galloway.